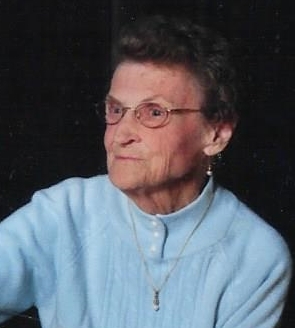 Jean Adams (Halstead) DeBisschop, 91, died Monday March 18, 2019 in her home. Formerly of Oxford, she was the widow of John F. DeBisschop Sr. Jean was born September 29, 1927 in Waterbury, daughter of the late Leo and Laura (Munson) Halstead. Jean grew up on the family dairy farm in Middlebury. She was a 1945 graduate of Woodbury High School and in 1947, graduated from Post Junior College in Waterbury. She worked as a bank teller for CT National Bank in Southbury from 1972-1979 and at the Newtown Savings bank from 1979-1989 where she retired as an assistant manager. Jean was an active member of the Congregational Church of Naugatuck. There at church she volunteered at the church’s clothing thrift shop and over the years served on several committees, including the church fair and Missions and Outreach. She was a member of the A.A.R.P. and the Oxford Senior Center. She enjoyed traveling, crafting and baking. She especially enjoyed spending time with her grandchildren and great grandchildren. She is survived by her sons, John F. DeBisschop Jr. and his wife Joyce of Naugatuck, Carl R. DeBisschop and his wife Lucy of Weybridge, VT, her daughters, Linda J. Curtis-Bowen and her husband Jerry of OK and Laura M. Brennan and her husband Michael of Beacon Falls; 12 grandchildren and 8 great grandchildren. She was predeceased by her son David A. DeBisschop. Funeral services will be held on Monday, March 25, at 9:30 A.M. at the Congregational Church of Naugatuck, 9 Division St. Burial will be in New North Cemetery, Woodbury. Calling hours will be held on Sunday, March 24, from 4 to 7 P.M. at the Southbury Funeral Home of Munson-Lovetere, 235 Main St. North. In lieu of flowers, memorial contributions may be made to the Congregational Church of Naugatuck, VITAS 199 Park Road, #102 Middlebury or American Cancer Society, c/o John DeBisschop 319 Quinn St. Naugatuck. 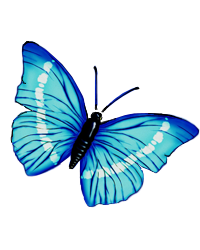 To place an online condolence, visit www.munsonloveterefuneralhome.com.